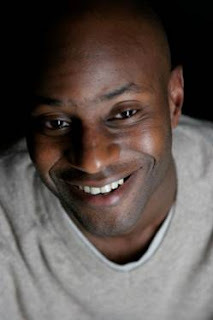 SEGUN AFOLABI was born in Kaduna, Nigeria, in 1966, and grew up in several countries, including the Congo, Indonesia, Canada, East Germany and Japan, and now settled in London. His début collection of stories, A Life Elsewhere (2006), was shortlisted for the Commonwealth Writers’ Prize (Africa region) and longlisted for the Frank O’Connor International Short Story Award. 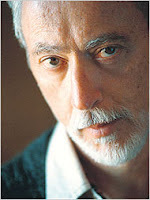 His début novel, Goodbye Lucille, was published in 2007. His short story, “Monday Morning,” was awarded the 2005 Caine Prize for African Writing—a prestigious major award in African creative writing, and is included in A Life Elsewhere. Like the work of Derek Walcott and Caryl Phillips, exile and rootlessness are fundamental threads in Afolabi’s stories, which tell of displacement, dispossession and loneliness. Well, I was born in Nigeria, in the northern city of Kaduna, where we lived for perhaps a few months or up to a year before my father’s work took us to the Congo (he was a diplomat). We lived in several countries, including Nigeria for several years, before moving to Jakarta in 1975 or 1976, where we lived in Hotel Indonesia for most of my time there before I was sent to school in England. I also attended the British School in Jakarta while I lived there and developed a life-long love of Indonesian food. There was never a conscious decision to become a writer and even now, I find it difficult to describe myself as one—more as someone who happens to write. It was more a process of elimination for me; as an African, and especially with African parents, I always felt obliged to work at something sensible: perhaps a banker, lawyer, architect, accountant, even a pilot when I was very young. But I was never very good at anything remotely mathematical so it took a rather long and circuitous journey to realise that I should stick to what I did best, and enjoyed the most—working with words. Was it difficult getting published? Did you experience difficulty in finding a publisher for your first collection of stories? It was difficult to find a publisher in that it was difficult to find an agent in the first instance. “Not quite right for us,” or, “the market is very difficult now” was the sort of response I had to get used to. However, once I did find an agent, the process of securing a publishing deal was surprisingly quick—a matter of a few weeks. We were living in the U.S. and Canada when I began to read, so my first influences were books by Dr Seuss (The Cat in the Hat, etc.) and stories about the indigenous peoples of Canada—stories about the Inuit and igloos and tepees, and plenty of snow and ice. Returning to Nigeria, I read a lot of comics, for some reason, which seemed, to me, to be more readily available than actual books. When I went to school in England, I went through a phase of reading novels by authors such as James Herbert and Stephen King—real “entertainments”—books for boys. I didn’t read seriously until I went to university, when I discovered novels by black American writers such as Toni Morrison, James Baldwin and Maya Angelou. I hadn’t been exposed to much black writing at school in the U.K.—certainly no African writing. I think, during university, reading and books took on a whole new perspective for me and I became much more discerning in what I chose to read after that. 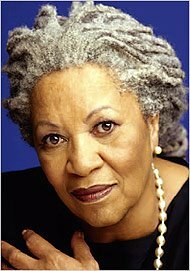 Toni Morrison, John Steinbeck, Jamaica Kincaid, Kazuo Ishiguro, Graham Greene, James Baldwin, John McGahern, J.M. Coetzee, Lorrie Moore ... it’s a very long list, and includes obscure writers such as Harold Sonny Ladoo, who wrote a wonderful book about an Asian family struggling against the elements on a Caribbean island. Why? They all primarily taught me to love books and to love writing and also to learn how to write, even though I didn’t understand this at the time. Nowadays, many new writers first undertake a creative writing programme of some sort, but for me, the process was one of trial and error—learning to differentiate great writing from not-so-great, realising what I liked and disliked, what themes I was drawn to and what I was capable of. Most of my literary influences were, to an extent, autodidacts and I assumed all good writers were self-taught or had to endure years of apprenticeship at the feet of the literary greats. So their journeys became, for me, almost as compelling as their actual work. I’m reading Per Petterson’s award-winning novel, Out Stealing Horses, the story of an old Norwegian man looking back on his life and the moment when he realises that his life will be forever changed. Could you tell me a bit about your collection of stories and novel? My short-story collection is entitled A Life Elsewhere and was shortlisted for the Commonwealth Writers’ Prize and longlisted for the Frank O’Connor International Short Story Award. The title story, “Monday Morning,” concerns an African refugee family’s first days in the U.K., their trials and hopes for life in a new land. It won the Caine Prize for African Writing in 2005. The stories in the collection take place all over the world, including Hong Kong, Nigeria, Japan and the U.S., and concern families or individuals at various crossroads in their lives, mostly in countries outside their birth. My novel, Goodbye Lucille, is about an overweight, young Nigerian photographer eking out a living in Berlin, who is on the run from life and from himself until he finds understanding and redemption in a tempestuous love affair. Again, its themes are displacement, loss, ethnicity and change, and it won the Author’s Club Best First Novel Award in early 2008. I always have a book on the go, whether I’m writing or not. I couldn’t bear to be without one, whether on a train or plane, even in a dentist’s waiting room. I’ll read a newspaper occasionally, but it’s much easier to read news items selectively from the internet or listen to the news on TV or the radio. I don’t know how anyone finds the time to read newspapers these days, especially the mammoth weekend papers, in this day of information overload. What is the difference between writing short stories and full-length novels? Which form do you much prefer? I think it was Raymond Carver who said of the story, and I’m paraphrasing here, “Get in, get out, don’t linger,” which is a great way to describe the process of creating a short story. Nice and brief. Writing a novel, on the other hand, usually takes years—often with long breaks in between. Everything’s messier and more difficult to manage, while stories, although still containing complete worlds, must necessarily be succinct and to the point. No fat, no unnecessary words. I don’t have a favourite book or individual story, but probably my top ten would certainly include a story by Lorrie Moore—“The Jewish Hunter” or “Places to Look for Your Mind.” I remember finishing “The Jewish Hunter” on a crowded London Underground train one night on the way to a party and feeling totally charmed and content that I’d been able to experience a great story that had taken me completely out of my environment and made me think deeply about its themes. Jhumpa Lahiri’s Interpreter of Maladies is a great collection. All to the good of writers and readers alike. Anne Enright actually started off as a short-story writer—I remember reading The Portable Virgin years ago, then being slightly surprised when she later turned to the novel. A lot of novelists have always written stories, but never published them, but more and more are turning to the form as stories are increasingly seen as being more acceptable to both publishers and readers alike. This may have something to do with successful recent adaptations of short stories for the big screen—for example, The Shawshank Redemption (Stephen King), Million Dollar Baby (F.X. Toole), The Mother (Hanif Kureishi) and Away with Her (Alice Munro). I think they’re not as hard to sell as they once were, although a writer is usually expected to produce a novel in the first place. It ultimately boils down to what people are willing to read and buy; if readers don’t buy the collections, publishers aren’t willing to encourage writers to submit. Short-story prizes help generate publicity for the short story form, such as the Frank O’Connor International Short Story Prize or the U.K.’s National Short Story Award, and films do a great deal to advertise the potential and richness of stories. I also think schools and universities could study the short-story genre, rather than focusing solely on novels, poetry and drama. I was never exposed to short stories at school and came to them quite late, but I think school children would relish the short form if they were introduced to stories early on. Well, certainly without the past, everything we write is without context—even science fiction stories set in the future. And a writer, or any artist, needs to have lived somewhat and understood something about life before committing to their art, so everything has a historical context from which stories are woven. I’ve started a second novel and, as usual, I’m attempting to write short stories in between.